Bentley is weighing a sporty two-seat sports car against a luxury ‘one-size smaller’ SUV as the next addition to its model range. A deep-dive global market research project, under the guidance of Bentley’s sales and marketing boss Kevin Rose, is looking closely at the business case for each car, with a decision expected in 2016 or 2017. “We can’t do both those cars at the same time, because Bentley is still a small company and our resources are very stretched. We are doing the studies for both those models and then we will decide on the fifth model,” said Bentley boss Wolfgang Durheimer. This puts the Speed 6 and compact SUV in competition for the next wave of new model investment, which will begin once the Bentayga is on sale next year, putting the on sale date around 2020/21. 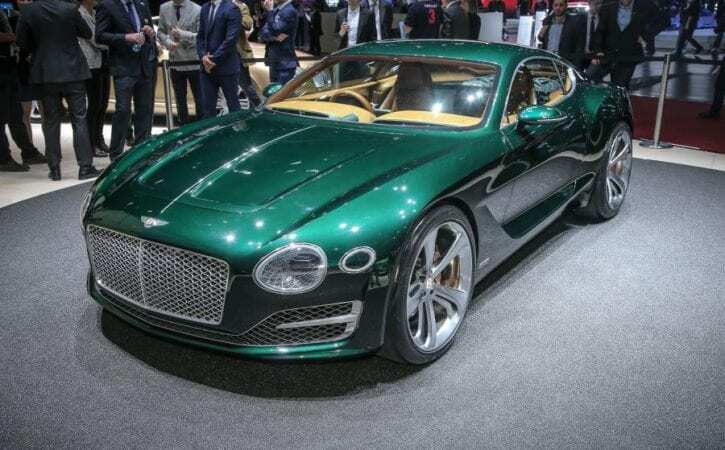 Bentley had been expected to use the EXP10 Speed 6 concept, shown at Geneva, as the basis for its fifth model, a £180k two-seater to battle the Ferrari F12. But at the Shanghai show, it raised the possibility of adding a new compact SUV, priced below the £140k Bentayga, which goes into production in late 2015. To put clear space between the proposed two-seat sportscar and Bentley’s big-selling Continental 2+2, Durheimer said the two cars would have a very different character. Neither would the arrival of the two-seat sportscar force Bentley to change the next-generation Continental, for example by making the rear-cabin bigger and more practical. The two-seater would be characterised by “breathtaking” and “absolutely stunning” styling, “pure” driving manners and a four-wheel drive powertrain. Bentley’s technical director Rolf Frech says Bentley is “open” to a soft-top version of the Speed 6, but a decision has yet to be taken.